Popular fast food franchise KFC Indonesia's recent social media campaign has gone viral because of the mixed response from netizens. In the so-called #budayabeberes (clean-up-after-yourself culture) campaign on its official Facebook, Twitter and Instagram accounts, KFC Indonesia encourages customers to clean their own table after they finish eating. "Since we were little, we have been taught to always clean up after ourselves after we eat. However, as time goes by, this culture has become rarer. Let's start this culture again! From now on, let's start to clean up after ourselves after we eat!" read the brand's Facebook post on Jan. 13, which received more than 590 comments and 1,300 likes and been shared more than 1,820 times as of Wednesday afternoon. As shared by @ridu on Twitter, some netizens could be found voicing their unhappiness regarding the campaign, reasoning that "my intention when eating outside is to avoid cleaning up [after myself]; what's the point of buying chicken outside if I still have to do the cleaning, I better just eat at home" and "there are cleaning service attendants who will do such job". One netizen, @taufan_md, commented on Twitter that the restaurant should "just move to developed countries rather than using 'culture' as an excuse to raise revenue", which was replied by the admin of @KFCINDONESIA that, "well KFC hails from a developed country". One commenter, @umisarahfarah, said she supported the campaign, however, she often wondered where to put the restaurant's dirty plates. "Trash and leftover food can be thrown into the trash bin. Or if this is too much of a task, simply collect the trash and put it on the plate. [And please] put the plates on the tray," KFC Indonesia replied. The restaurant shared that it did not expect the campaign to receive such a mixed response, particularly on Facebook. "We posted #budayabeberes on Instagram and Twitter as well. However, it went viral on Facebook. We honestly were surprised that the post went viral like this," KFC Indonesia tweeted. "Similar to the #NoStrawMovement campaign, this #BudayaBeberes campaign is also an invitation from us to act positively," it added. Kami post #budayabeberes di Instagram dan Twitter juga kok. Tapi di Facebook memang jadi viral. Jujur kami juga merasa kaget dengan viralnya post ini. Aside from the negative responses, many of the franchise's customers could be found praising the move on social media. "Yey finally KFC acknowledged this issue. People used to look at me [weird] whenever I cleaned my table and threw away trash after eating at KFC, despite it being a positive thing to do," said @luisadian on Instagram. On Facebook, a user named Marvel Sutantio praised KFC for spreading the campaign. "Do not get discouraged and do not listen to the negative responses. [Such a habit] of independence and responsibility of cleaning after ourselves must be campaigned for. Thank you for the reminder. In developed countries like Singapore, Japan and others, cleaning services are available but the people are also aware to clean up after themselves. Why? Due to responsibility, appreciation and the spirit of helping one another," he commented. Meanwhile, a netizen named Ludovicus Randityo advised the restaurant to make the tray rack more visible for customers, such as by adding a "drop your tray here" notice. "[Basically] put more effort into boosting this campaign," he added. PT Fast Food Indonesia director Justinus Dalimin Juwono told kompas.com on Wednesday that KFC Indonesia kicked off the campaign in the middle of last year in some of its restaurants by providing a dedicated waste bin. "The waste bin is specially designed and installed in a location that can easily be reached by KFC customers who want to voluntarily throw away their trash after eating," said Justinus, adding that the campaign serves as a positive form of education on culture to the public. 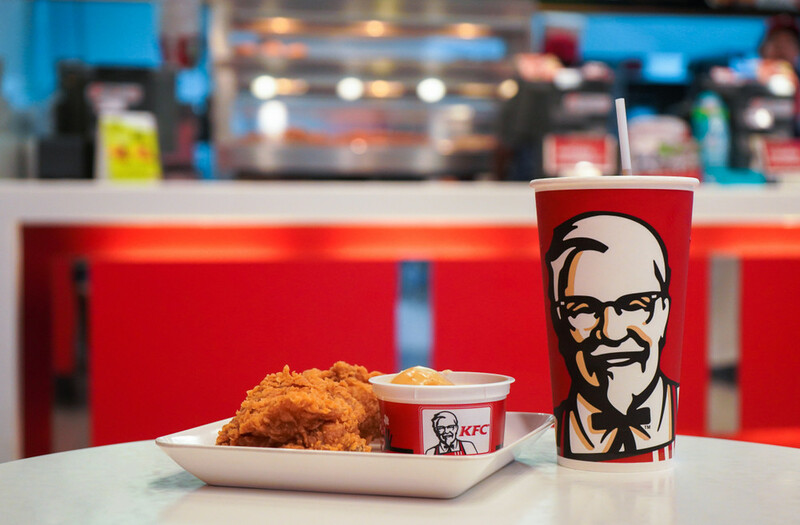 To support the #budayabeberes campaign, KFC Indonesia has also utilized disposable tableware. "From 2018 KFC Indonesia no longer uses plates and now almost all stores have implemented this [policy]. Such a move also aims at reducing the use of water and cleaning products," Justinus said.